Nvidia will let GeForce graphics cards tap into FreeSync monitors, but if a display hasn't been certified as G-Sync Compatible, things can go wrong. 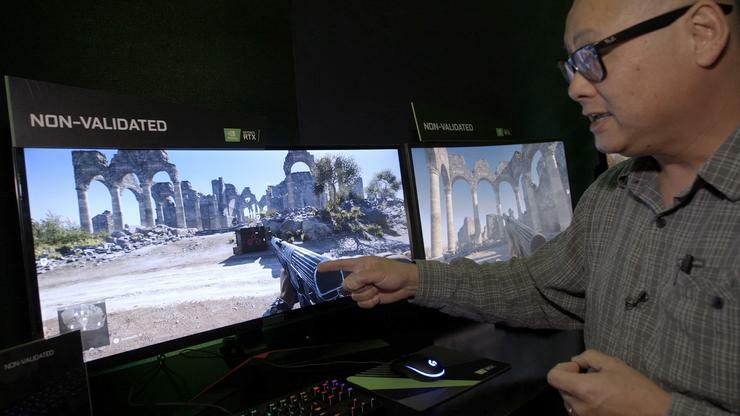 Nvidia dropped a bombshell on gamers when it announced at CES that it would finally support not just its own proprietary G-Sync monitors but also AMD’s FreeSync displays. The company said it would issue a GeForce GPU driver mid-month that supports monitors running VESA-standard Adaptive Sync displays, to enable variable refresh rates in games. Translation: GeForce graphics card will finally work with FreeSync monitors. But there’s a catch. Nvidia also said that of the 400 Adaptive Sync monitors it has tested, only 12 have passed all the requirements needed for the GeForce driver enable the G-Sync support by default. The good news is that if you have a GeForce card and a FreeSync monitor, you can enable adaptive sync manually in Nvidia’s control panel once the compatible driver goes live. The bad news: Results seem all over the map. In a demonstrations of Nvidia’s FreeSync support, we saw excessive ghosting on one monitor that has FreeSync 2 support, with a second monitor exhibiting far more annoying “blanking” where the screen would go black for a few noticeable milliseconds, as you can see in the video above. And no, Nvidia officials said, this isn’t just a GeForce compatibility problem either. The company said when it tried the same monitors on Radeon cards, it saw the same issues. While this will take months to sort out, AMD’s approach with an open standard philosophy vs. Nvidia’s closed standard philosophy is actually pretty typical. Tighter controls means things are likely to work more often than controls left up to individual vendors. And it remains to be seen just how widespread these FreeSync issues that Nvidia is keen to show actually are. But when Nvidia releases its FreeSync driver on January 15, the variable refresh landscape is going to change dramatically.